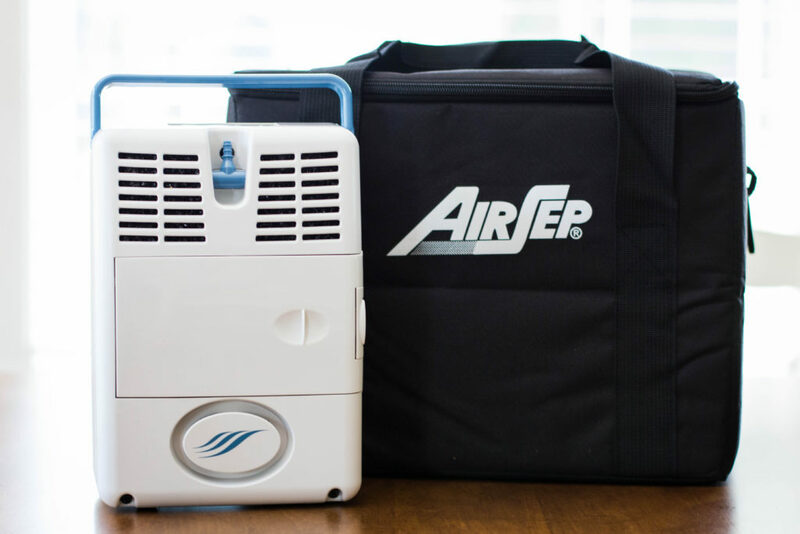 CAIRE Inc., the manufacturer of the AirSep FreeStyle 3 and global oxygen leader, recently released a new and improved AirSep FreeStyle 3. A color change from dark gray casing to white is the most prominent change visually, but the upgrades don’t end there. The most practical and welcome change is the new user-replaceable battery. Formerly the FreeStyle 3 included an internal battery and the option of an external battery that required its own charger. With the new model, the battery is now accessible and is replaceable by the user. The image above allows you to see the new front-loading battery. The FreeStyle 3 comes standard with one battery, but additional batteries may be purchased at a reasonable cost, much lower than I’ve seen from other manufacturers. The carry bag for the unit includes a side pouch that will store your extra battery for exceptional convenience. The battery lasts 3.5 hours on setting 2. Other accessories include AC and DC adapters for home and car and a carry-all accessory bag that holds the unit and all the accessories, with plenty of room for personal items. An optional desktop charger is also available and comes in handy when you have multiple batteries. Another upgrade is a redesign of the power supply connections, which now features a metal connector with no pins to align or release button to press. The unit continues to have easy one-button on/off, simply by pressing the button that corresponds with your flow setting. The AirSep FreeStyle 3 has been approved by the FAA for many years so you can enjoy immediate airline travel with this upgraded model. Lightweight POC – only 5 lbs. Easiest control panel of all brands. Small, easy-to-change battery; there is no confusion of multiple battery sizes and weights. Improved carry case that has a bottom zipper opening and a handy battery pouch. The AirSep FreeStyle 3 has long been a reliable product with few service issues. Dealers have access to parts when service issues arise. You’re not stuck dealing with excessive manufacturer repair expenses. The sieve beds are covered under the standard 3-year warranty. Other POCs, such as the Inogen One G3 and SimplyGo Mini, offer only a 1-year warranty for the sieve beds. This means less service and expense because you won’t have to pay for replacement sieve columns every 15-18 months. 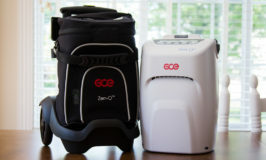 The weight – even though it is smaller than other models, such as the Inogen One G3 and the SimplyGo Mini, the weight of 4.9 pounds may be a hindrance to some oxygen users. The greatest demand from oxygen patients continues to be more power and lighter weight. All-in-all, I like the new FreeStyle 3. It is a great option for oxygen users seeking a small, lightweight unit that has simple controls and no confusing battery options. 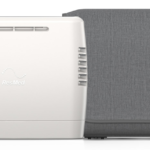 The FreeStyle 3 would be a great choice for those who are intimidated by mechanical items and would be fearful to try a portable oxygen concentrator. I would not hesitate to recommend the FreeStyle 3 to many oxygen users. Thank you! And you are correct, weight is one of the primary considerations – as well as cost as many of us must pay for our units out-of-pocket. Do mention costs on your reviews please. How much will the original unit cost. Also how much does it wt. Thanks for the time effort that went into this informative post.first time I read your post not the last. How much? And does medicare help? is there a way to have constant flow at 3? The AirSep FreeStyle provides pulse flow only. For 3 LPM continuous, I recommend you look at the SeQual Eclipse 5 or SeQual eQuinox.